Kolkata: West Bengal Chief Minister Mamata Banerjee warned private hospitals against over-charging patients and negligence in treatment as she announced setting up of a regulatory commission to monitor their functioning. “We have decided to set up a West Bengal Health Regulatory Commission which will monitor the billing and performance of the private hospitals and nursing homes,” she said at a meeting with representatives of top private hospitals and nursing homes here. A bill in this regard would be brought in the Assembly on March 3 in the coming session, she said. The Commission will be a 10-member body comprising a former chief justice, health experts, principal secretary of the Health Department, representatives of hospitals and patients, who are the consumers, Banerjee said. The regulatory commission will submit its report to the chief minister every month. “Hospitals must serve with smile. Try to treat patients with love, calculate money later. Your primary responsibility will be to serve them. You must have help desks. There must be a grievance cell in every hospitals to talk to families who have lost their patients there,” she said. She said that West Bengal should be a model for other states in health care. The meeting was called by Banerjee, who is also the Health Minister, after many complaints poured in at the health department from different sections, including top leaders and MLAs, alleging that private hospitals and nursing homes were charging patients excessively and negligence in treatment. In the meeting, Banerjee pulled up representatives of top private medical facilities and held them responsible for charging patients exorbitantly, negligence in treatment, keeping patients in ICUs and on ventilators for long periods without justification and not releasing dead bodies if the bills were not settled. 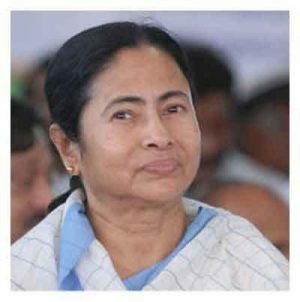 The state was already planning to amend the West Bengal Clinical Act, the Chief Minister said, adding it should be made “strong” and the amendment would be brought up on March 3 in the Assembly. “Hospitals here are charging exorbitantly. Why will that happen? Treatment of patients is not a business. It cannot even try to derive full profit from it. You have to look at it from a humanitarian ground,” she observed. Didi! Great job! Long awaited ???. Please include representatives from insurance companies also! with the salary. Please look into the matter. Why cant the state government improve health care in public hospitàls? Then people would not have to go to private hospitals. The CM wants a committee to overseè treatment at private hospitals. How about a committee to oversee corruption in the running of health dept and public hospitals? Treatment of patients is not a business,I agree but to get medical education is not charity but a big ticket business.Cheif Minister should correct it first. Give medical education free then assure private hospital will be given subsidies like in other segments and reservations for their children in education. If any hospital incur losses it has to wave off like farmers loans or any govt projects .Than govt can see the difference.